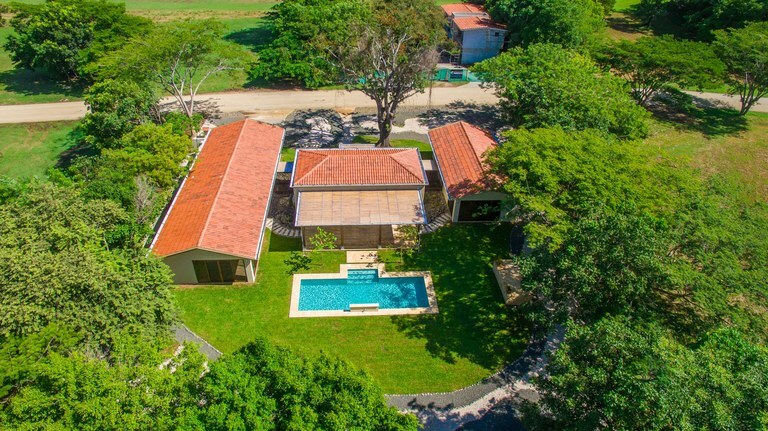 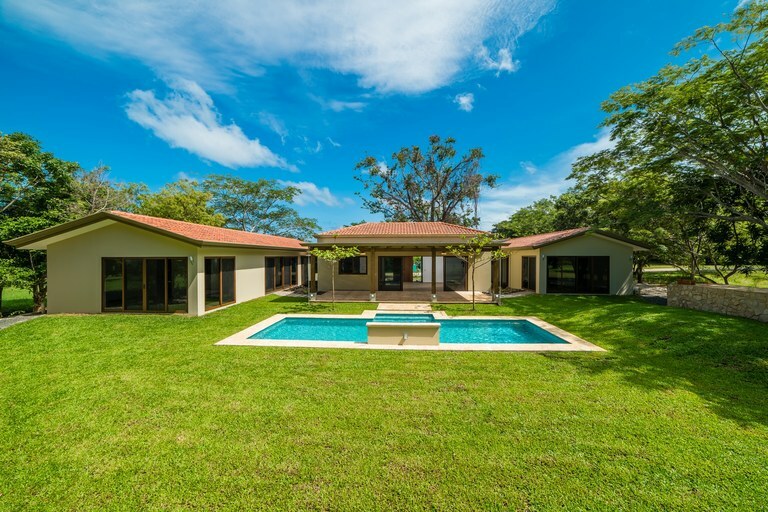 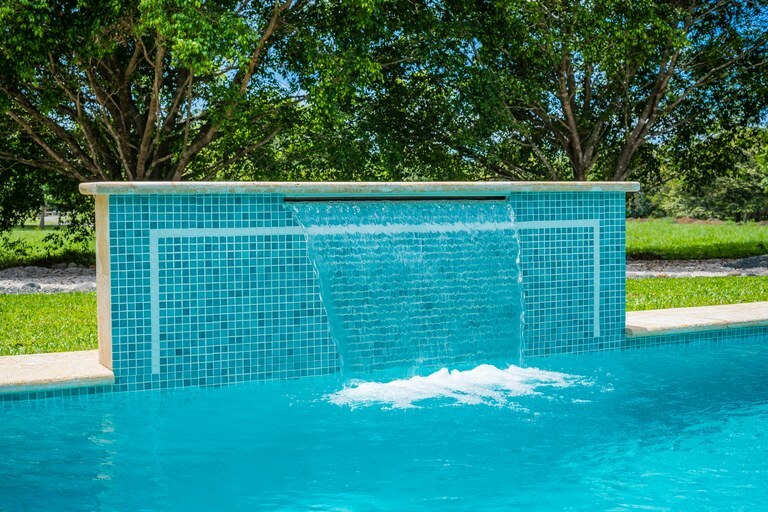 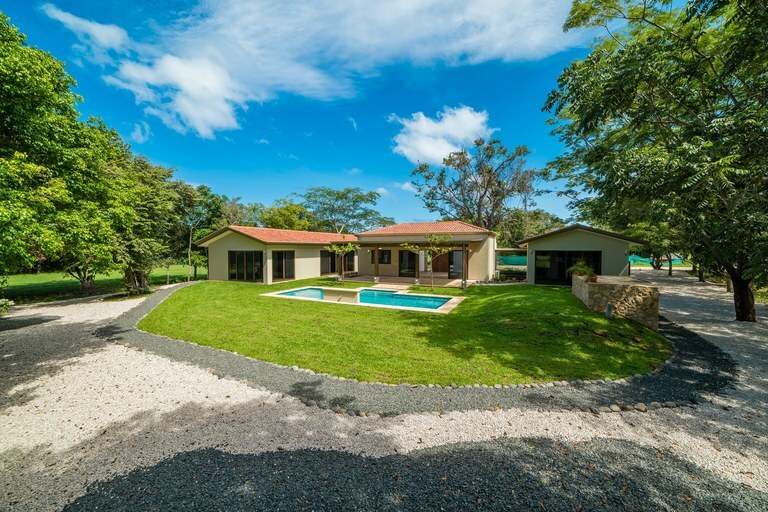 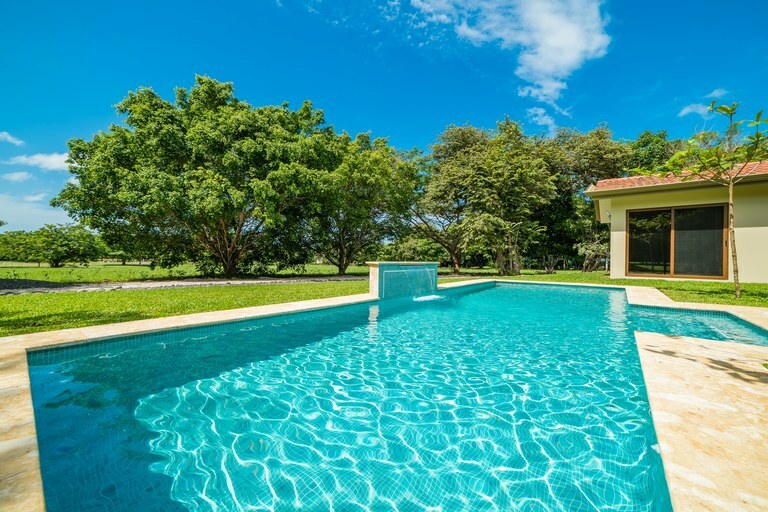 In Hacienda Pinilla, Guanacaste, brand new, well designed for personal enjoyment and vacation rental activity. 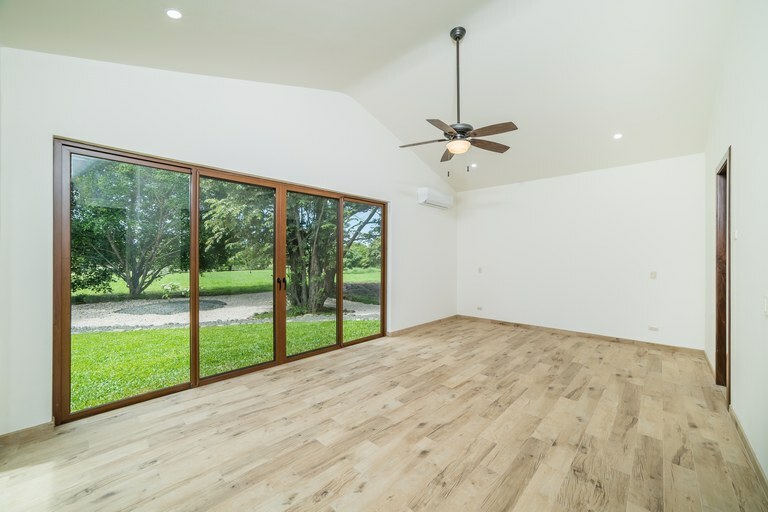 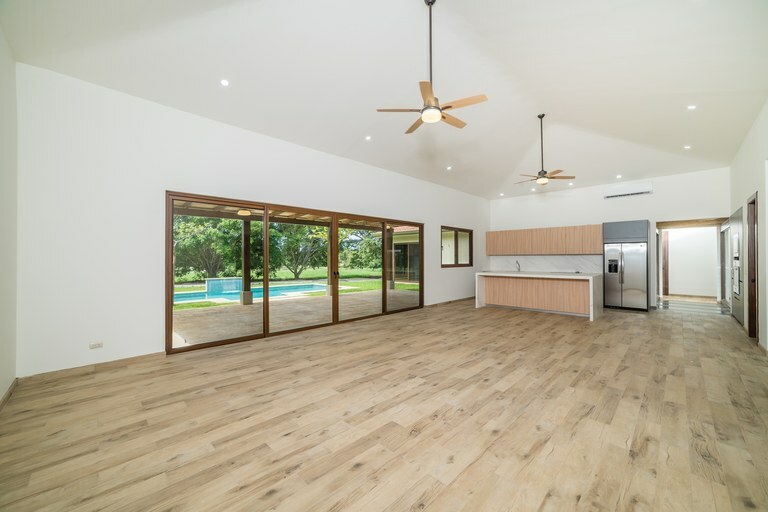 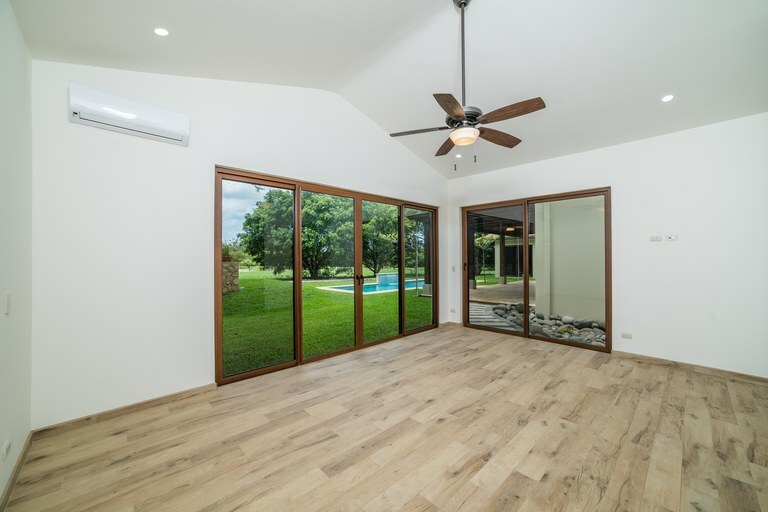 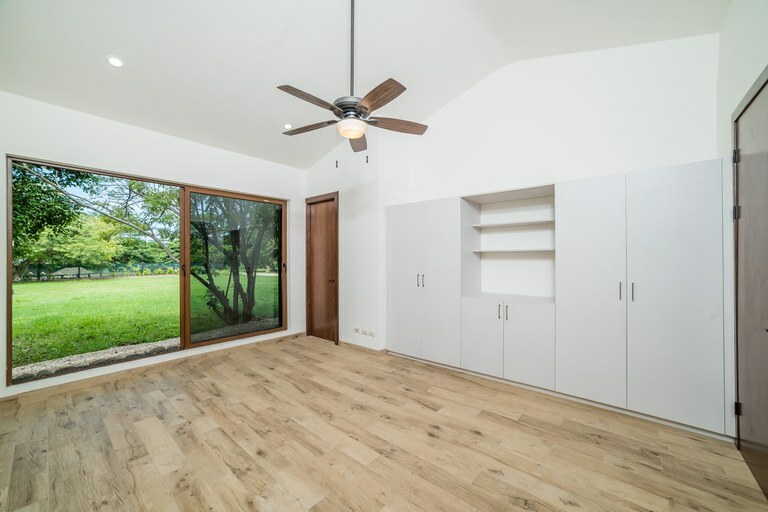 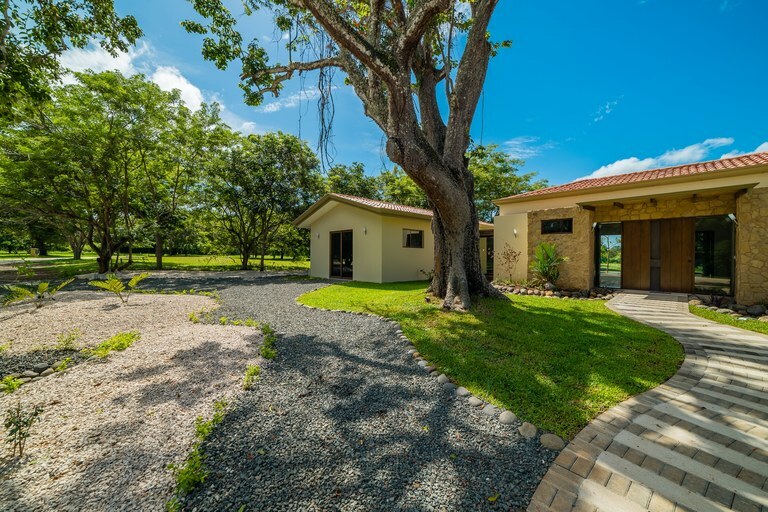 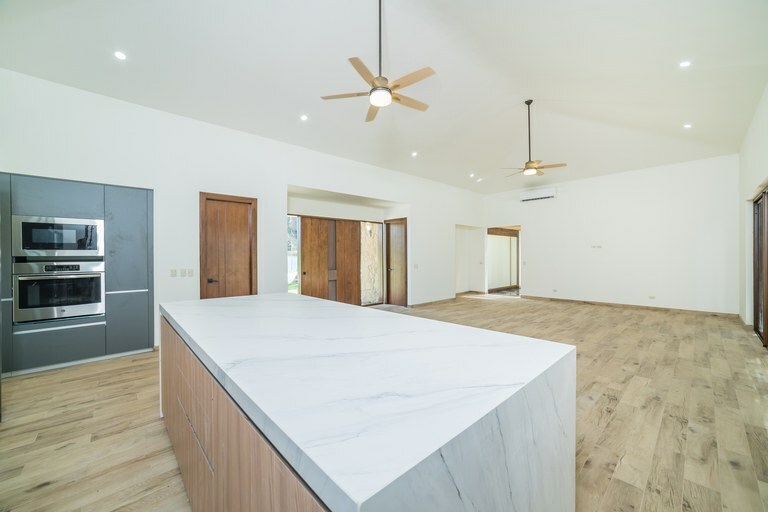 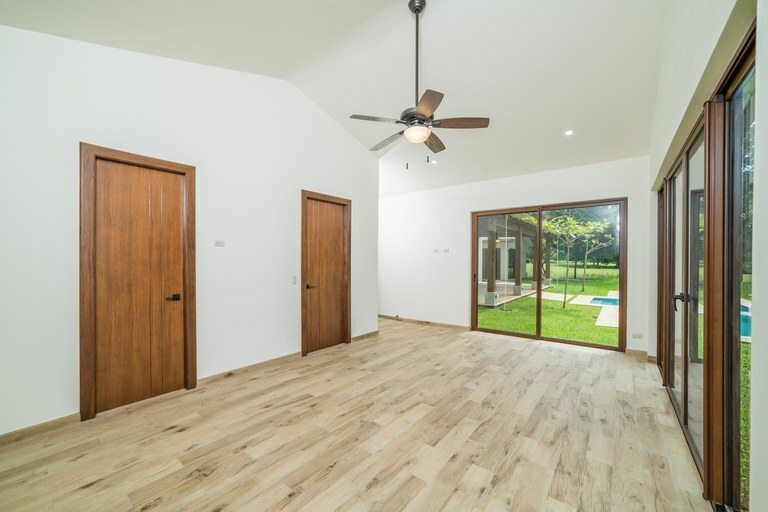 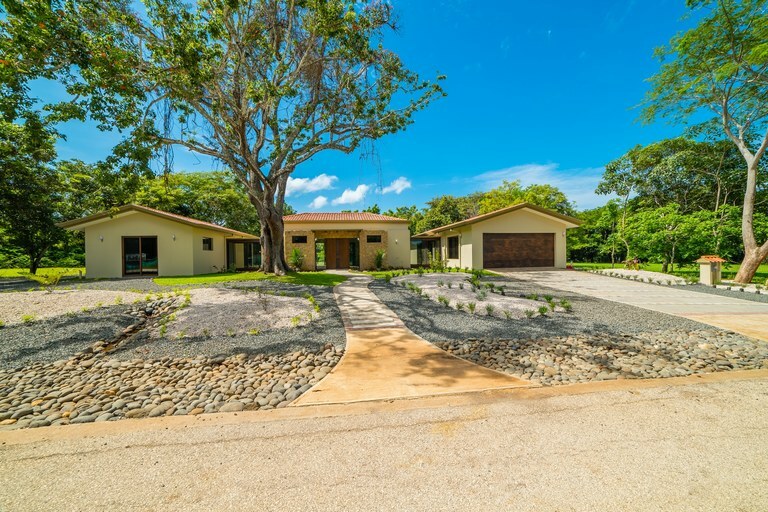 This is a brand new, single level home located within the Reserva del Golf residential community at Hacienda Pinilla. 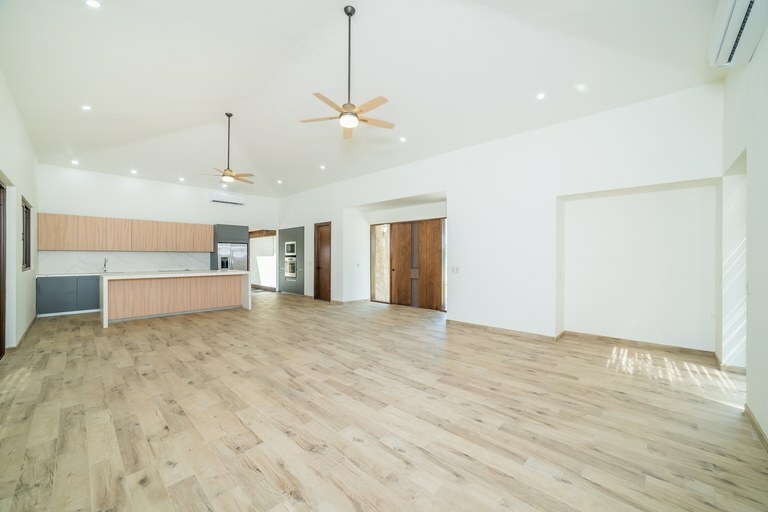 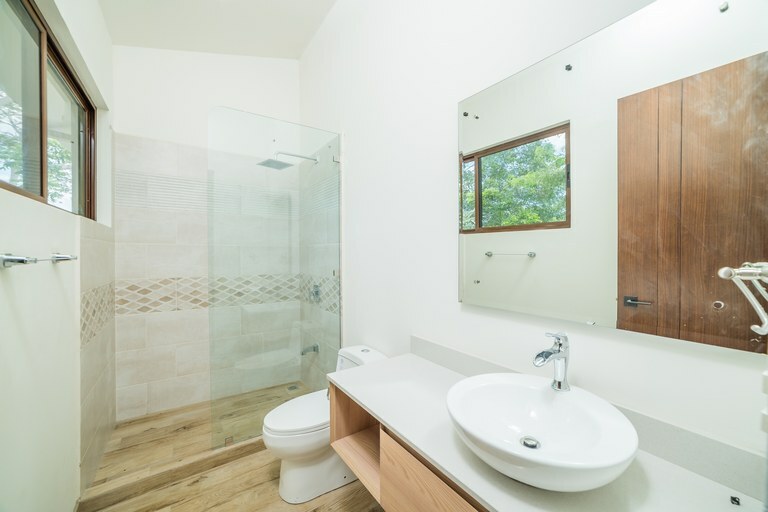 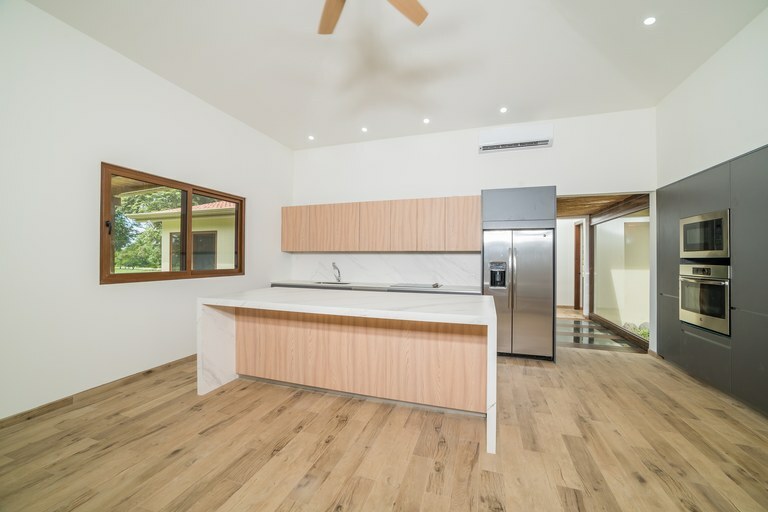 With a spacious and modern design, the house matches perfectly what the current market is looking for. 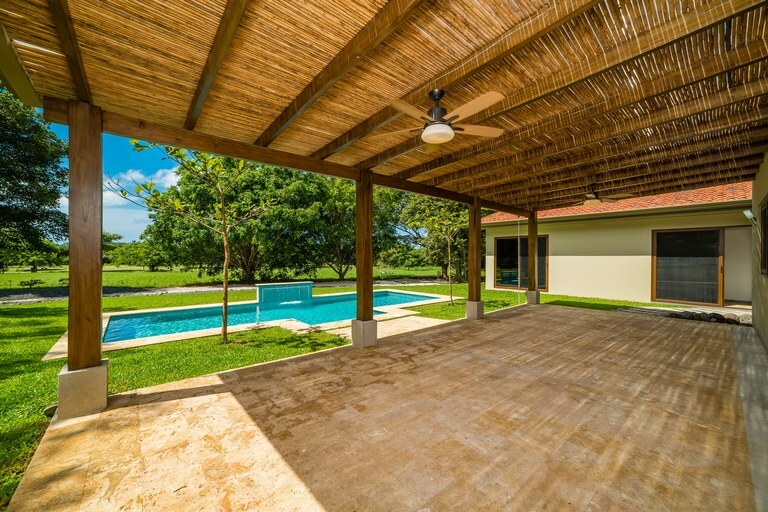 The house would perform superb in high return vacation rentals. 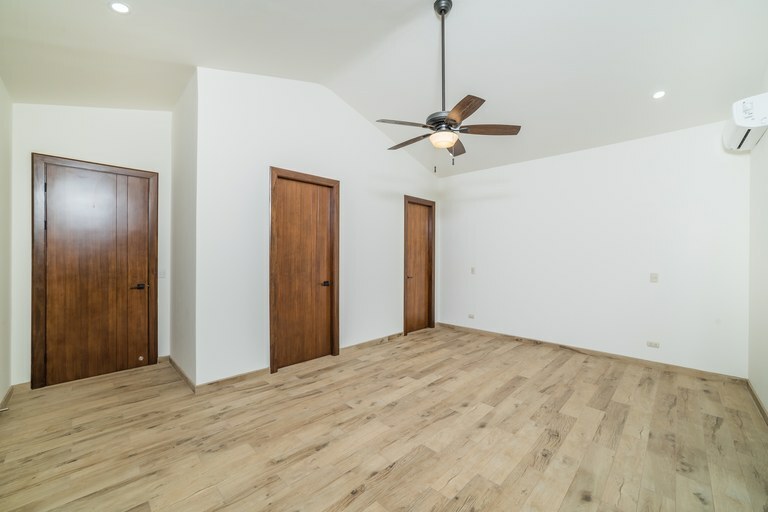 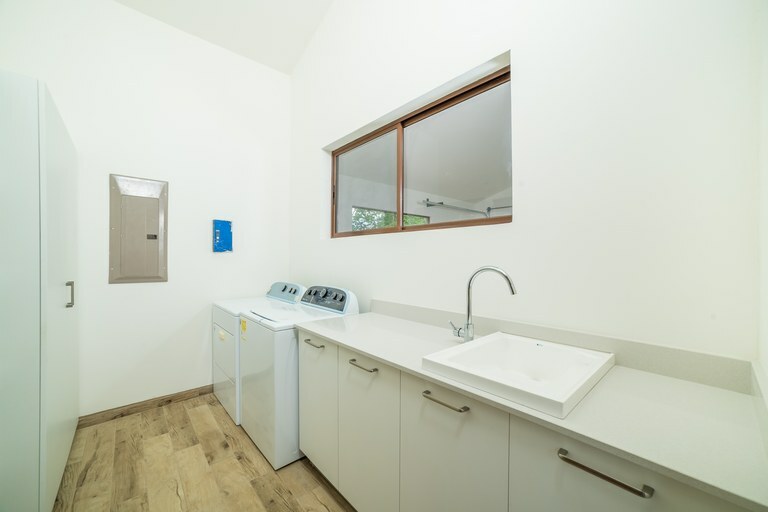 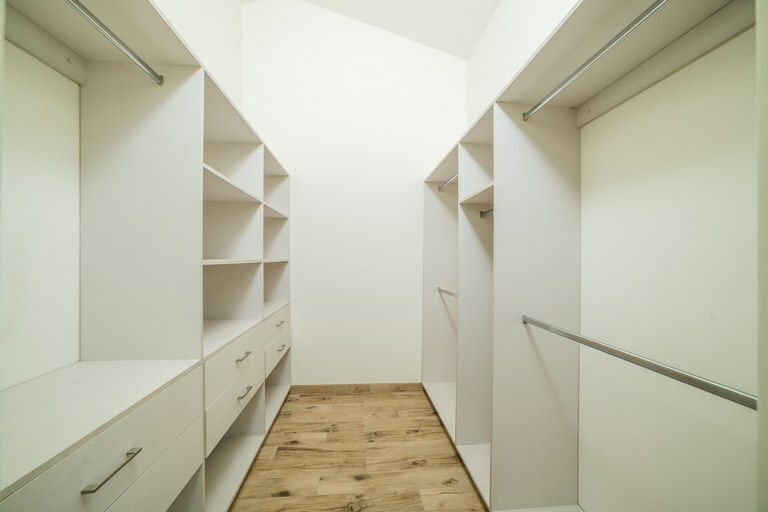 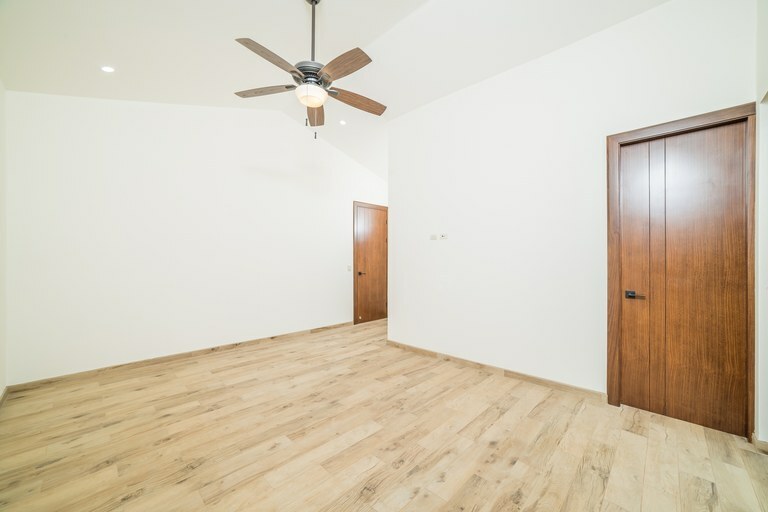 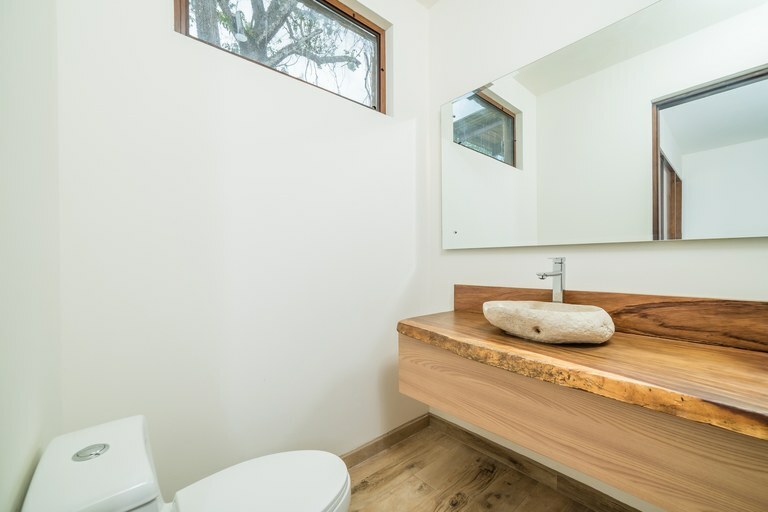 It has an open floor plan, featuring four bedrooms all with their in-suite full baths. 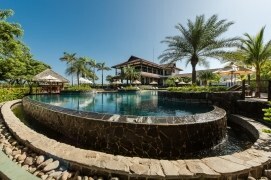 A big social area has both under A/C and open living sitting areas oriented towards a large pool. 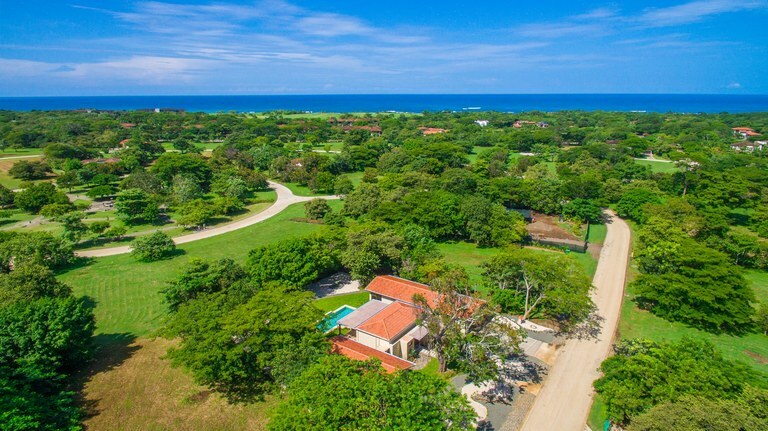 It's a perfect property to relax, swim in the pool, surf at the beach, play some golf or just hangout at the outdoor terrace. 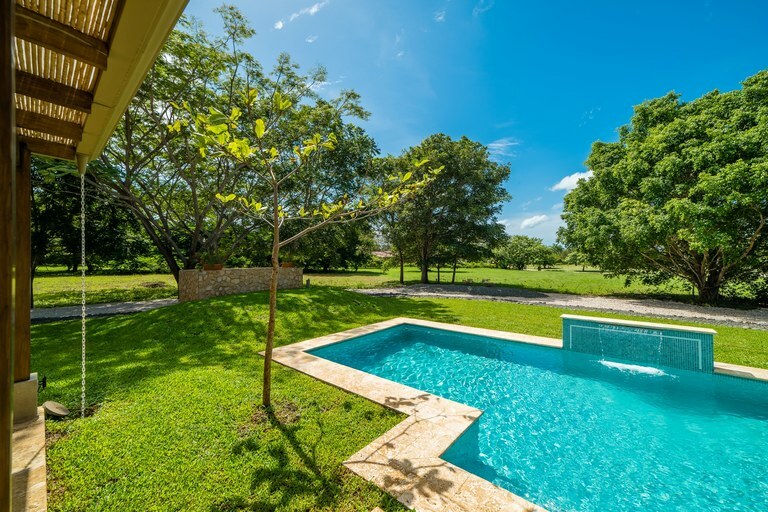 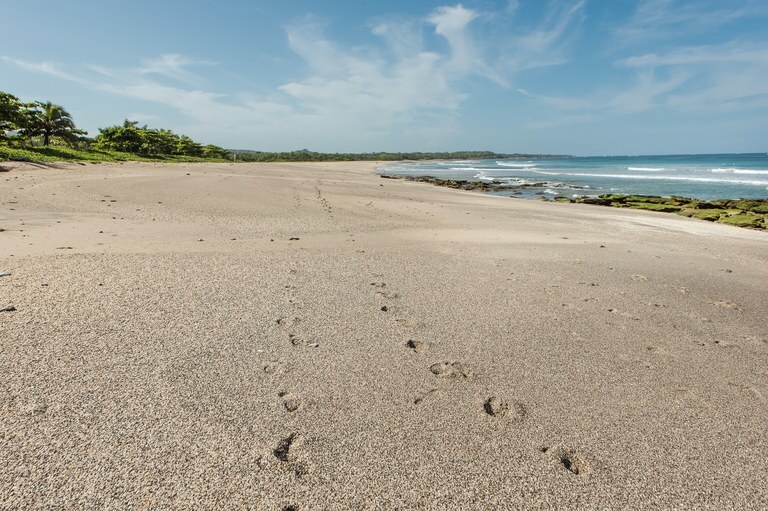 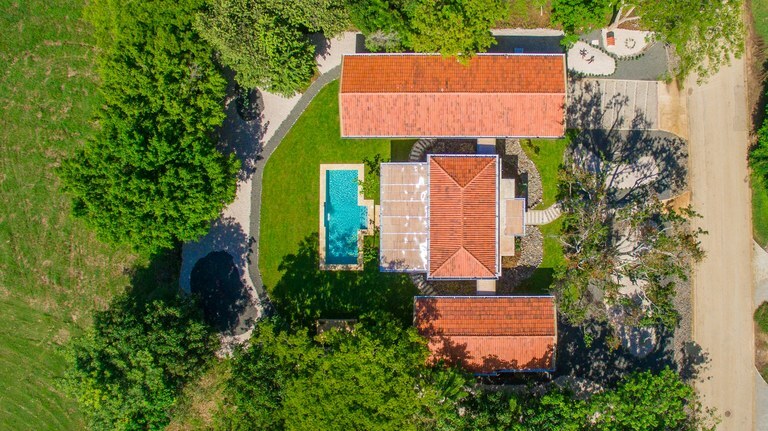 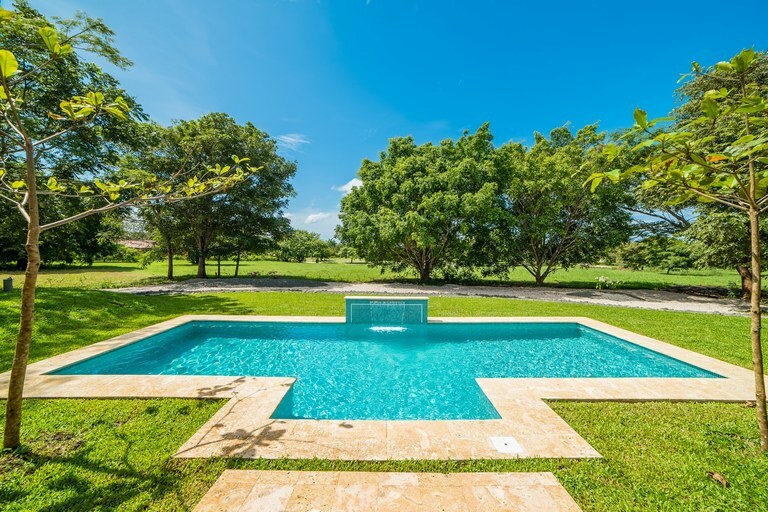 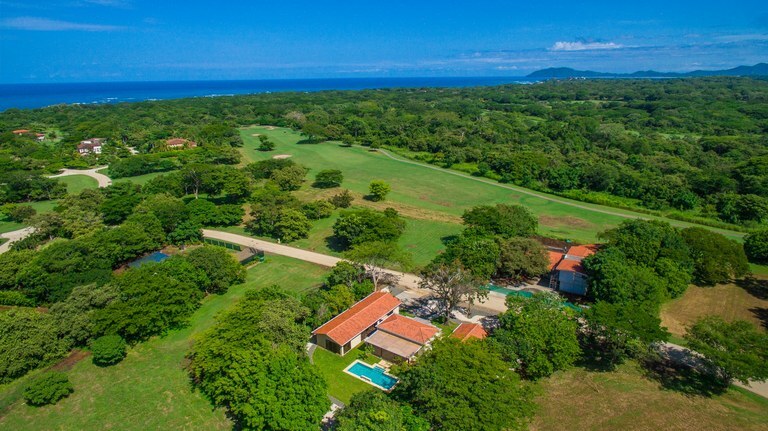 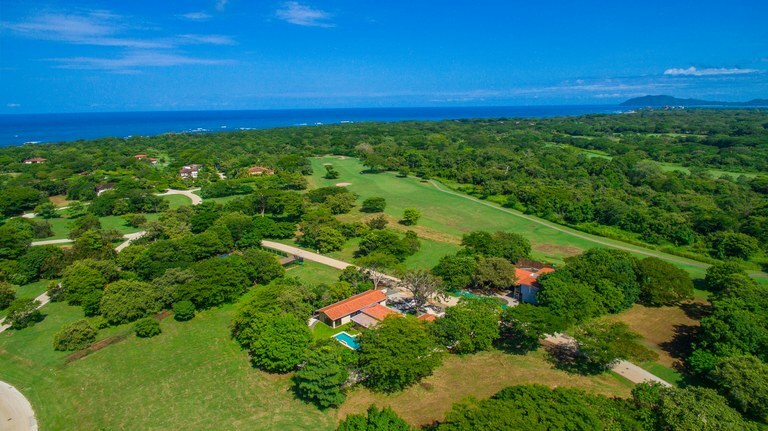 Reserva de Golf, home site condominium where it is located, is part of the sprawling 4500 acres of the Hacienda Pinilla resort and boasts 3 miles of pristine beaches, including two of the best surf spots in Central America, Playa Avellanas, and Playa Langosta. 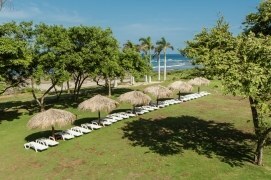 The prestigious golf and beach resort has a beautiful beach club and a JW Marriott Hotel with charming restaurants. 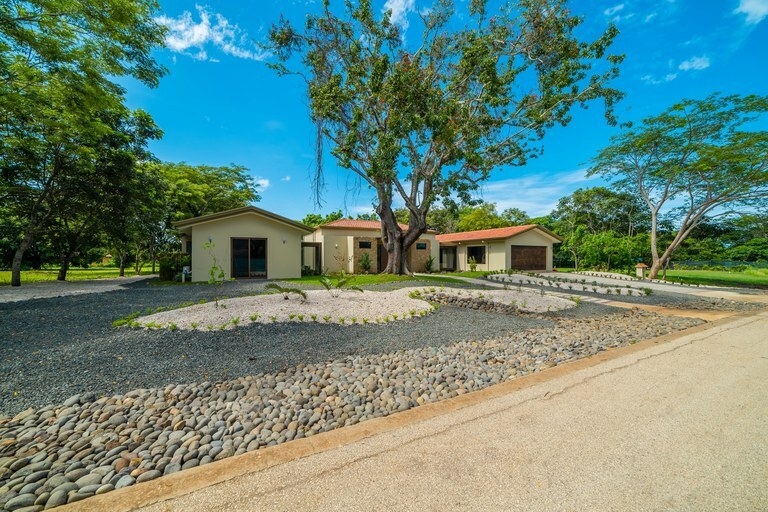 At an introductory price for a short period of just USD$775,000.00 this is a great deal in Hacienda Pinilla. 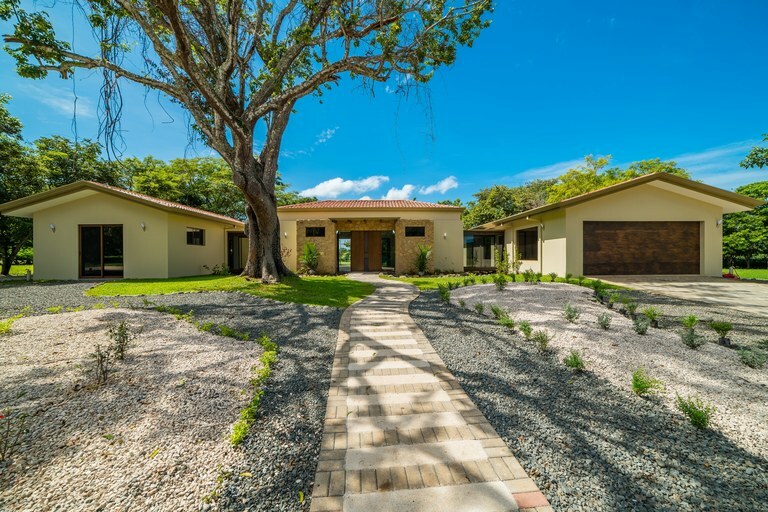 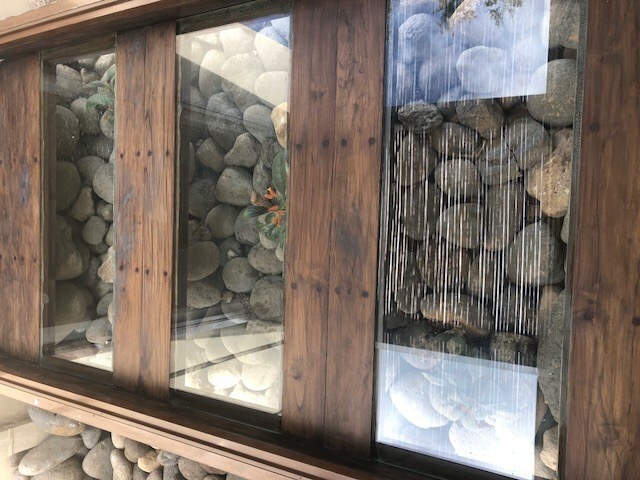 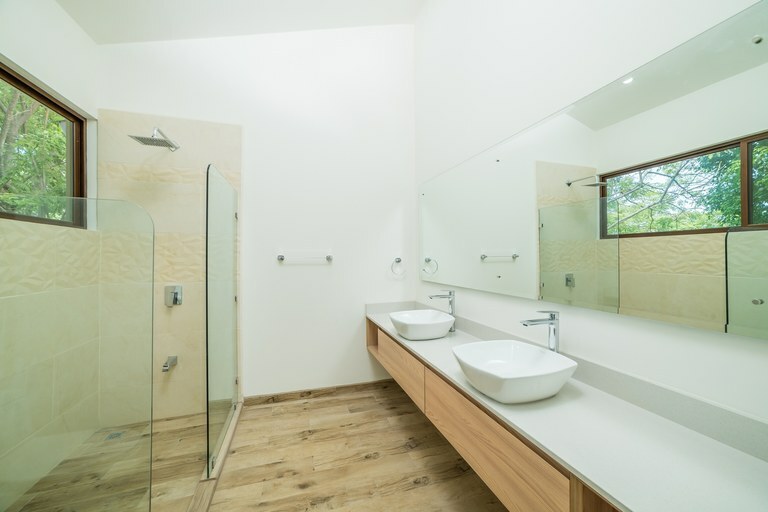 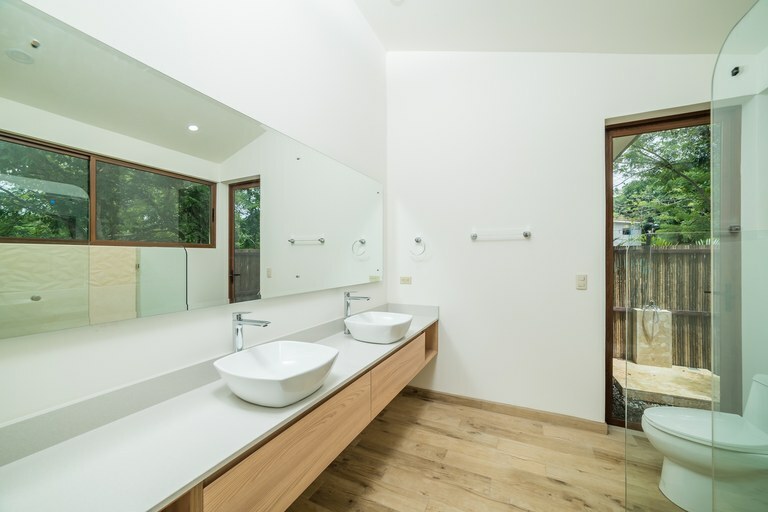 The house has just been finished by one of the most experienced residential builders in Costa Rica. 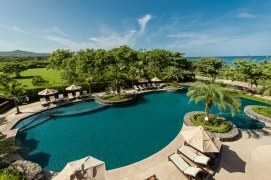 Do not let go this opportunity to acquire your brand new vacation or main residence at this exclusive site!